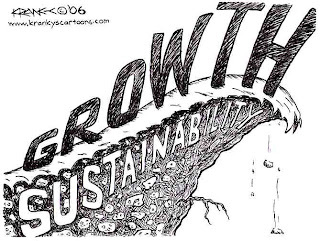 A great investing model that attempts to combine the best of the growth and value worlds is the GARP model, or growth at a reasonable price. This strategy seeks to find companies growing at above market rates yet selling with moderate price tags. Often these stocks are previous momentum crowd favorites but have been rejected because of some overhang or disappointment along the road that caused the weak holders to dump shares and move on. Intuitive Surgical, Inc. (ISRG) may be a great fit for this investing model. Intuitive Surgical is a leading medical technology company designing and manufacturing cutting-edge, minimally invasive robotic surgery equipment. In surgery, the name of the game is precision and using the same skills learned in open surgery, doctors can now control the instruments like never before. 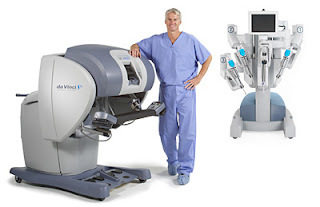 The da Vinci Surgical Systems offer doctors enhanced visualization with 10x high definition magnification coupled with robotic arms that provide greatly improved dexterity and precision. Intuitive Surgical's robotic systems have revolutionized minimally invasive surgeries (MIS) advancing the quality in FDA-cleared general, cardiac, thoracic, urologic, gynecologic and pediatric operations. The expanding use of minimally invasive surgery benefits patients with faster recoveries, lesser chances of complications, lower blood loss and lower pain infliction. The company generates revenues through the initial capital sales of the da Vinci Surgical Systems as well as the recurring sales of instruments and accessories along with annual service contracts. They hold over 290 US patents and 300 foreign patents for the da Vinci system. At the end of the third quarter 2010, the company had an installed base of 1,661 da Vinci systems with 1,228 in the US, 292 in Europe and 141 in the rest of the world. Intuitive Surgical has a minor $76.2 million in long-term liabilities against $1.6 billion in cash, equivalents and available for sale investments. With a 73% gross profit margin, the third quarter's $86.6 million in net income represented a 34% increase year-over-year. The company is a cash cow with high quality earnings generating $404 million in operating cash flow for the $260.6 million in net income for the nine months ended September 30, 2010. A surface look at the P/E of ISRG may intimidate some given its 31x valuation but the company has a long-term record of sustained growth. For the last five years, ISRG has averaged a rate of 51% for both sales and net income growth. Shares of ISRG have been out of favor in 2010 with a year-to-date return of -13.7% significantly lagging the Nasdaq's 11% gain. Traders have dropped shares as sequential growth in earnings has stalled but with its market-leading position shares may now offer a compelling value. If ISRG is only able to grow at 20% next year, a 30x P/E applied gives an approximate price target of $315 per share, an 18% gain from current prices. I believe this may be a conservative estimate. Sequential earnings growth has slowed quarter-over-quarter throughout 2010 with Johnson & Johnson (JNJ) citing patients delaying elective procedures as the cause of slower medical device sales. Growth in individual procedures has slowed somewhat during 2010 for ISRG but still remains north of 30% Q-o-Q. Europe's capital spending has and will likely continue to be constrained in the near future as the debt crisis inhibits hospital capital spending. The company is also seeking approval from Japan for reimbursements and will needs this for growth to take hold in a significant way. The health care reform bill still presents itself as something of an unknown, and potentially a large unknown.